How soon should I buy tickets for a dinner show? Be sure to purchase your tickets as soon as possible as they are first come, first served. As some shows often sell out quickly, be sure to buy your tickets as soon as possible. All tickets MUST be purchased in advance. No tickets will be sold at the door. All ticket sales are final, no refunds or change of date. What time should I arrive, and how long is the evening? We recommend arriving 15 minutes prior to your personal arrival time, to allow time for parking. The entire experience can last between 2.5 and 3.5 hours, depending on your individual arrival time. We do not have our own designated parking areas, however, if street parking is available it is strongly encouraged. When street parking is not available, there is a parking structure across the street from our location. In order to arrive on time, allow enough time for parking and arrival. Parking options include street parking when available, or the Horton Plaza parking structure across the street. If you choose to park inside Horton Plaza we have acquired a special parking rate of $12 for up to 12 hours. After you have parked in the Horton Plaza parking lot, come to the address listed above and we will have those tickets available for purchase. Upon arrival, you will experience our secret entrance, mini escape room, and the ambiance of our carefully curated theater. 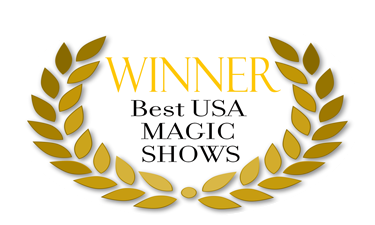 As the evening progresses, you will experience strolling magicians, as well as a beautifully put together magic show created especially for this theater. Your ticket will also include a 3-course meal designed by our Executive Chef. If you would like the VIP experience this is only available through our website directly. Ticket price does not include beverages. All parties of 6 or more will be charged 18% gratuity at the Theatre. This is calculated from the total purchase of your tickets and beverages. All ticket sales are final, no refunds or change of date. Where do I get to sit during the dinner and show? Upon arrival, our guests will be shown to their assigned seating. If your tickets are purchased together, you will be seated together. If tickets are purchased separately but you would like to be seated together, please notify our staff before the evening of the event. The general rule of thumb is that the room is filled from the front to the back. The theater is small and intimate, so every seat is a good seat. Can I bring a cake if we are celebrating a special occasion? Unfortunately, we cannot allow outside food into the theatre or kitchen because of health department codes. A cake is not necessary to make the evening more memorable. As the evening is heavily structured, there is not much free time however our dessert is incredibly memorable. Please be sure to let us know of the special occasion you might be celebrating so we can respectfully acknowledge your celebration during the stage show. The 3 1/2 hour evening show is designed for adults. It is recommended for 18 and up. All guests under the age of 18 must be accompanied by an adult.